Imagine what happens when you forget to water your plants for a week or two. More often than not, they will still be fine after you give them water again. This seems simple enough, but it is actually a complex biological process that depends on a plant hormone called ABA. For successful rehydration, ABA must accumulate during the early stages of dehydration, and then–among other things–act to prevent water loss by closing pores in the plant's leaves. The screening method the team used was somewhat unique. As Sato explains, "we used a library of plant lines that was created with chimeric repressor silencing technology. This special technique is used for identifying novel transcription factors in plant genetic science." 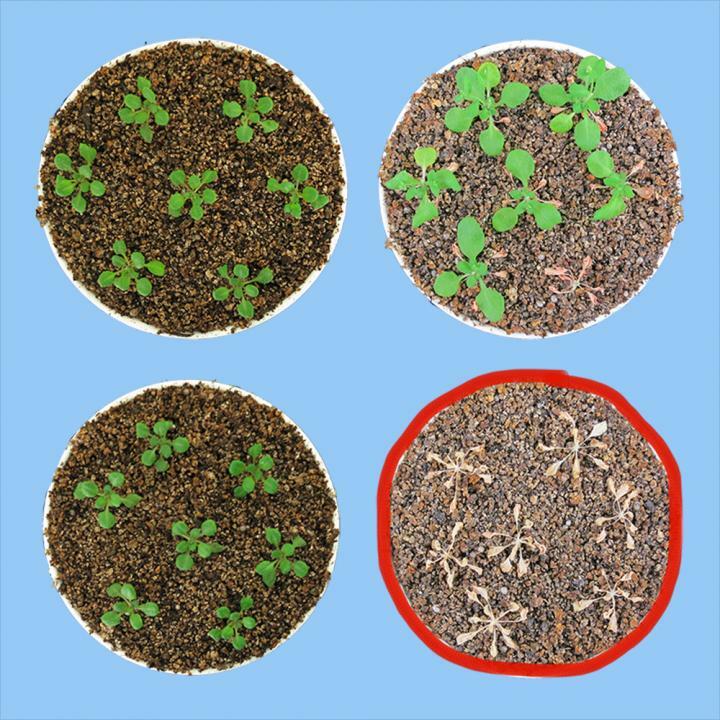 Improving drought tolerance is a top priority for plant scientists. "Several studies have shown that increasing ABA levels can improve drought tolerance in plants," notes Sato. "Our finding that NGA1 is necessary for ABA biosynthesis will thus likely be helpful for developing new ways to increase drought-stress tolerance."